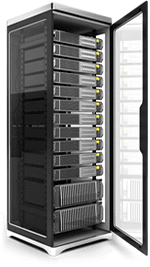 Our Enterprise Grade Dedicated Servers are fast, reliable and scalable. No lock in contracts mean you have the ability to upgrade to newer servers and or upgrade at anytime. We only use the best Australian Data Centres with the best peering providers. Need some advice on what plan will suit you? OR have some questions? Talk to one of our Solutions Experts. Guaranteed 100% Network uptime guarantee or we issue credit for the down time. You can upgrade RAM, CPU, Bandwidth & Disk space at anytime. Month to Month. You have the ability to upgrade to newer servers or upgrade at anytime. Get full control of your dedicated server with Root & Console Access.